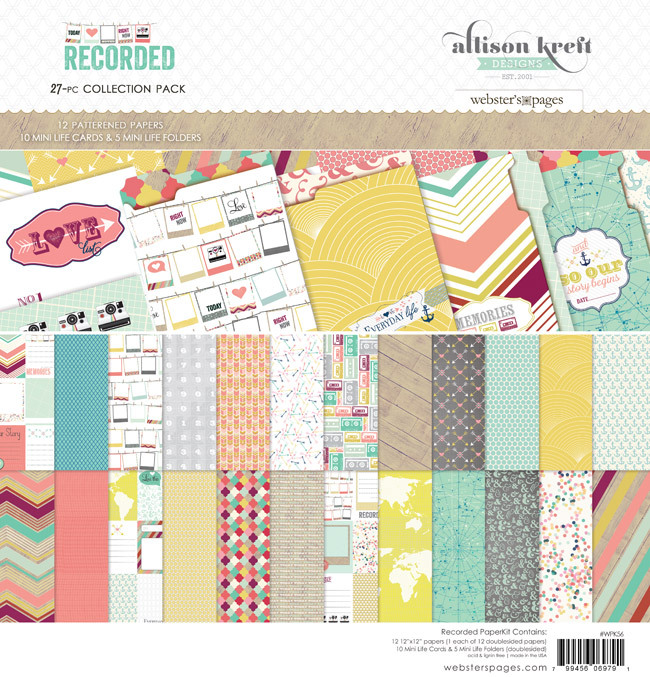 So many gorgeous scrapbook lines are coming out for summer. I had made a decision to stop buying and use the hoard that what I have as I haven't even cracked some of the winter releases yet. /pushes winter paper releases to the back of the closet. 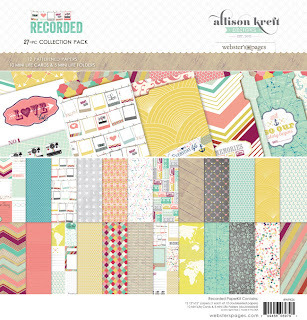 So many gorgeous scrapbook lines are coming out for summer. Like a diva needs to wear her 'Pin Cess Ahwowra' glasses at night. Here is one of my very very very faves ... Allison Kreft, of course, for Webster's Pages. Her designs have been my favorite for a while. Have you seen how much Everyday Eclectic I've used? (I know, Echo Park days, but STILL from the beautifully talented AK) LOL. ANYHOW. Check out the sweetness of RECORDED! Sublime Stitching - This ain't your gramma's embroidery!